My name is Ian Malesiewski. I am a quadriplegic. On June 3, 2016, I suffered a traumatic neck/spinal cord injury while wrestling in the Cadet World Team Trials. This sporting accident has robbed me of my ability to walk, write, and live a normal life. Prior to my injury, I was a blonde-haired, blue-eyed boy without a worry in the world. I was a Division 1 wrestling and football recruit with the aspirations of continuing my athletic and academic careers in college. Every day after June 3, 2016, I knew I would have to fight an uphill battle and overcome the odds. Over the past two years, I have spent countless hours in physical therapy attempting to strengthen my body as much as possible. I also have pushed myself to the limits mentally. Due to my hard work in the classroom, I was able to finish high school being among the top 10 scholars in my class. I scored nearly a perfect score on my SAT and I was unanimously selected as Senior Class President. 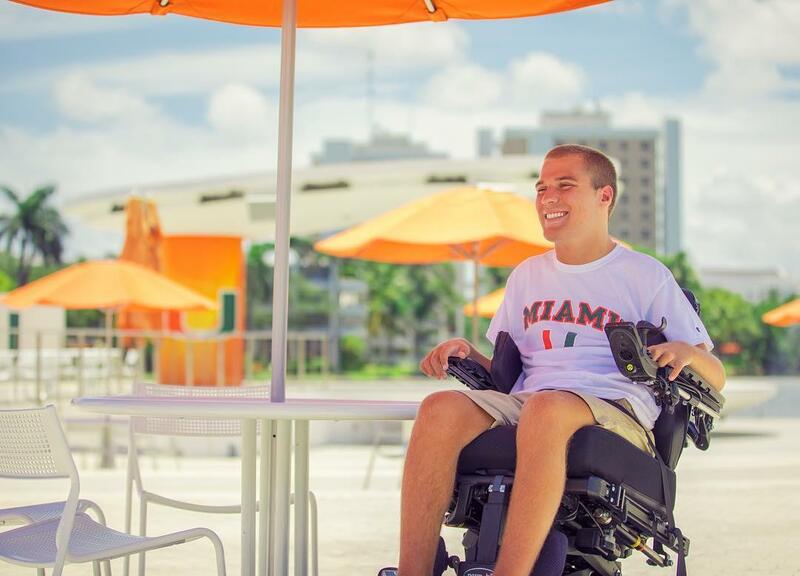 After graduating from high school, I moved to Florida to begin my first year at the University of Miami, where I plan to study Neuroscience with the goal to attend medical school. My mother, cousin and I moved to Miami at the end of June. Since moving to the Sunshine State, I have run into countless roadblocks. Although I am a very gifted student, I want to make everyone aware of the fact I am still 100% dependent on a caretaker to live. I currently use the benefits from two different programs to provide caretakers for me. One of the programs in place is called Early and Periodic Screening, Diagnostic and Treatment, or EPSDT for short. I receive 19 hours of Licensed Practical Nurse (LPN) coverage through this program. I have been struggling with this program. Over the last 3 months, I have experienced countless call-offs and no-shows from my nurses. This is unacceptable because I am relying on them to live. The second program I use is the Participant-Directed Model through the Independence Waiver. This is the model that allows me to hire a family member, a friend, or anyone else I choose to become my caretaker. This is the ideal model of choice because it gives me the flexibility to receive care in the manner that I wish and it serves as a backup plan for me if I experience call-offs from either of the two programs. EPSDT is the child health component of Medicaid for "children" under the age of 21, so with me being 18, this is the only program I could access based on Medicaid Regulation. I originally did not qualify for any services provided by the Independence Waiver. This is because I am 18 and that program is only for those over the age of 21. Confusing, I know. After a battle led by Kristy Dovichow (Program Director for Service Coordination Resources) and myself, I was finally approved for 35 hours of Personal Assistance Services (PAS) through the Independence Waiver. Although the fight for these hours only took a few weeks, they would not have been granted without help from our State officials, specifically State Rep. Ryan Bizzarro. Thankfully, the decision to approve my hours was made by Kevin Hancock (Deputy Secretary, Department of Human Services). You might be wondering why I would prefer these PAS hours compared to the nursing hours that would usually be provided. To be brutally honest, I am a college student in a wheelchair, and I already stick out like a sore thumb. I do not want any added attention (like a nurse that would be following me all over campus). If I had the freedom of being able to choose who takes care of me, I would be able to train a family member or friend to help me out around campus. This would draw virtually no added attention, and I would be able to blend in like a normal college student. Not only does this program benefit young adults, but it also helps save our State thousands of dollars. The average PAS rate is $13.04 per hour, compared to the LPN rate, which is at the very least $44.08 per hour. These savings add up to over $200,000 a year for a single participant. Trust me, I am beyond thankful for the hours of PAS I have already received, but I feel like I need to do more. I feel like it is my duty and obligation to advocate for other "kids" just like me who don't have a voice. We need to make a change. Not just for me but for EVERYONE. At the end of the day, I believe it is unconstitutional to not grant young adults the freedom to choose the avenue of care in which best fits all of their needs. Ian Malesiewski graduated from Cathedral Preparatory School and now attends the University of Miami.